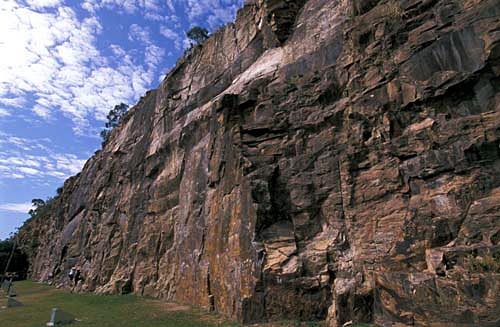 Brisbane Tuff indeed is a wonder rock and has been quarried since first settlement of Brisbane. 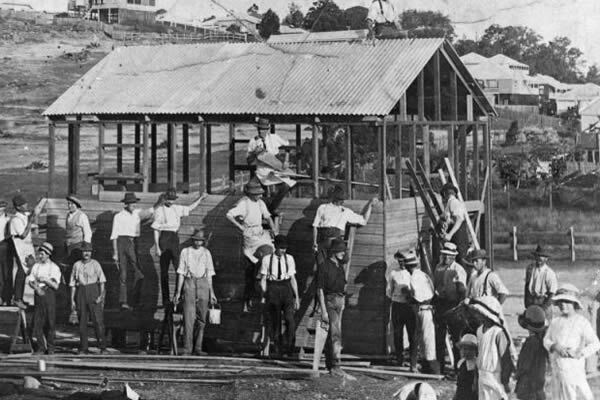 The first quarry was the Kangaroo Point Cliffs and from there stone for many buildings and churches was sourced. The stone was also used for ballast in sailing ships. One of the first buildings was the Commissariat Store built in 1829. Brisbane Tuff is a volcanic sediment, welded ignimbrite actually, deposited in a single cataclysmic event. The lava, pumice and rock fragments were blown out of the volcano in a huge explosion. On landing they formed layers and were “welded” together by the extreme heat to form tuff. Brisbane Tuff is NOT porphyry!! Porphyry is an igneous rock formed when rising magma in a volcano is cooled near the surface under certain conditions. As a result it contains larger crystals than other magma. The word “porphyry” is Greek and means purple. 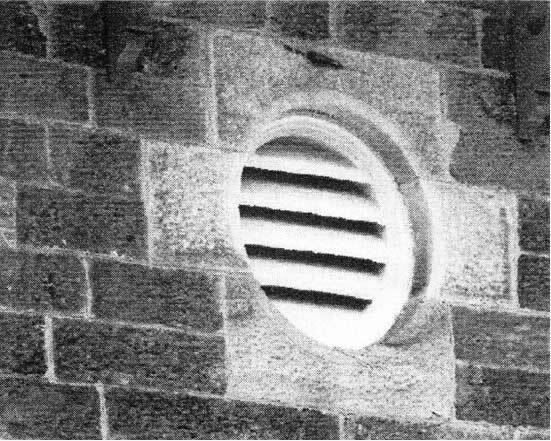 Brisbane Tuff is used as building stone, for kerbing and guttering as well as for road-making material. 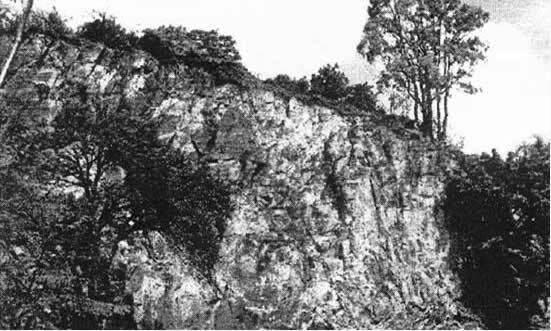 As the seam of Brisbane Tuff runs right through the Windsor Shire, it is obvious that there would be several quarries established. The first recorded quarry was what we now know as the Windsor Town Quarry (now the Windsor Park). At night the cliffs of the Windsor Town Quarry and Windsor Council Chambers are floodlit. The Kangaroo Point Cliffs are also illuminated. This quarry supplied road making materials for the Colonial Government in the 1860s and later the newly established Windsor Shire Council applied for rock from the quarry. After a while the control of the quarry was handed over to the council who used it mainly for road making gravel. 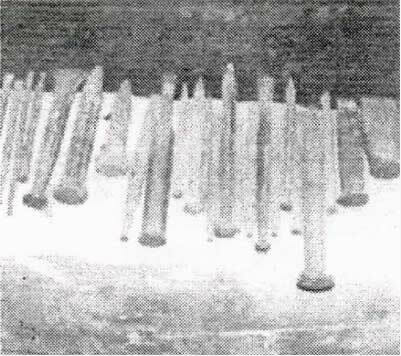 In 1896/7 it was used to supply the pink coloured tuff for the new Council Chambers. During the Depression of the early 1890s, relief work was given only to married men to smash up tuff to the size of gravel. They were paid 1/6 per cubic yard. 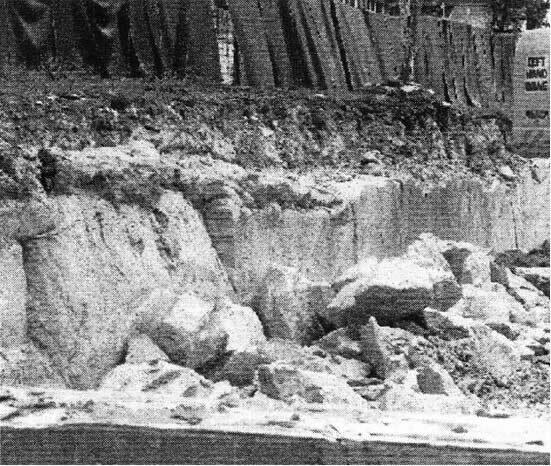 Another quarry was established in Lyons Terrace by building contractor, John Carroll. It was used mainly for building stone. The quarry site became the home of United Milk Vendors Pty Ltd processing plant and in the back corner H. Perkins and Sons’ soft drink factory. 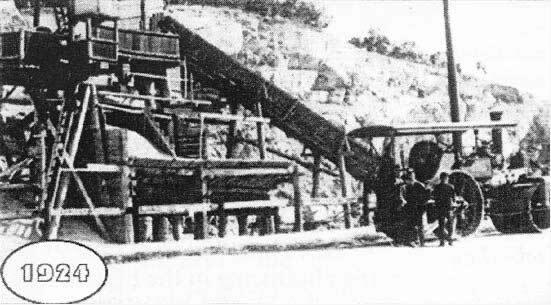 W. H. Bowser & Lever started quarrying at the Brisbane Hospital site c1885 and in 1920 opened the Windsor Quarry on the corner of Newmarket Road. They were not able to buy all the allotments in the block. Mrs France would not sell, and so Bowsers quarried around the house. 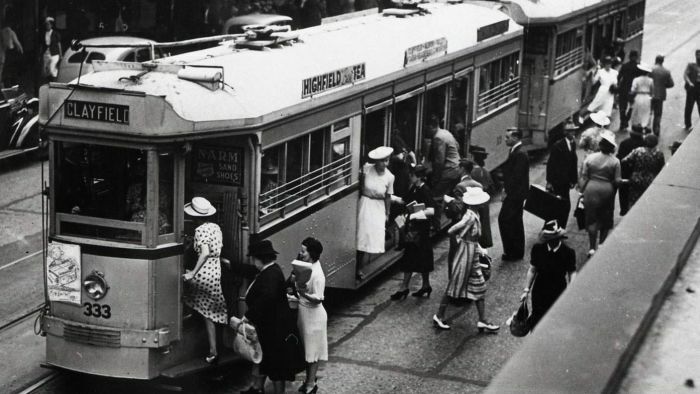 In 1941 they also opened the Webster Road, Somerset Hills, quarry. 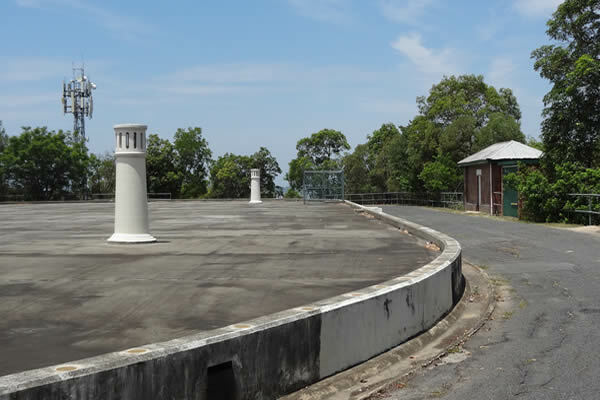 The Windsor Quarry was taken over by the Department of Defence and three huge tanks were constructed to hold bunkering oil for the navy. A pipeline was tunnelled under the road and linked to the wharves at Newstead. The tanks remained in operation until the last heavy oil burning naval vessel was pensioned off. The tanks were camoflauged from the air by painting tennis court outlines on their tops. 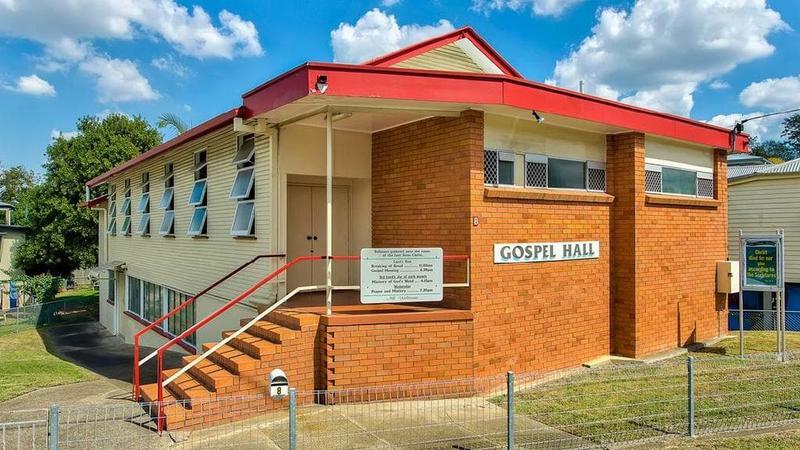 The most prominent Brisbane Tuff building in the local area is the Windsor Shire/Town Council Chambers. It was built in 1896/7 by local stone mason, William Parsons, for £583/10/- and opened on 9 March 1897. The pink stone came from the Council Quarry at the rear of the Chambers. 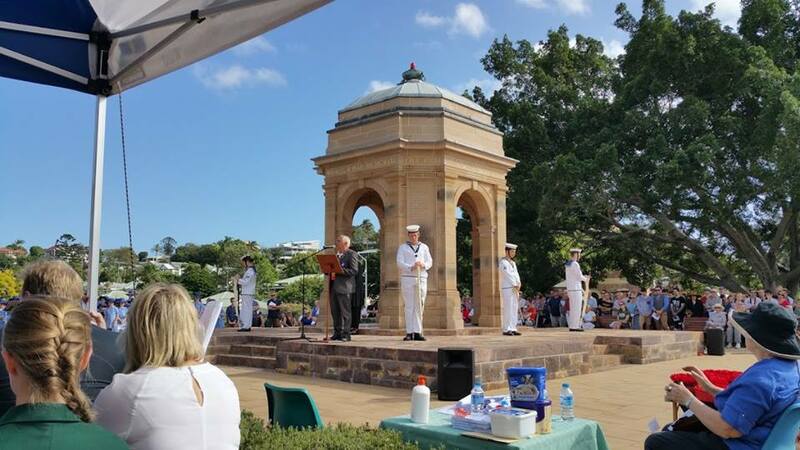 (for more information a centenary booklet is available for $5). In c1884, Scottish stone mason, George McConachie bought land in Maud (22 Cartwright) Street from the Rosemount Estate sale. Here he built his home with tuff from nearby Carroll’s Quarry. Another Scottish stone mason was John Grant. He arrived on the clipper ship William Miles in 1855 with the Macpherson family. He married Jane and they had nine children. 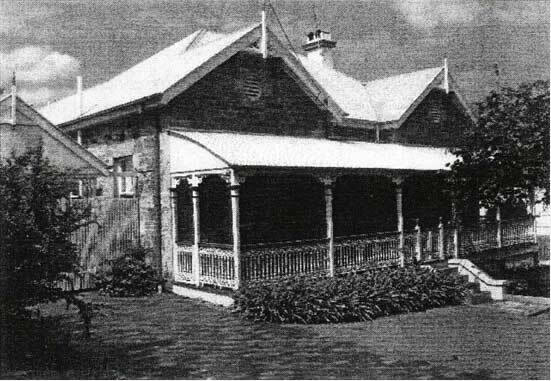 About 1890 he built his home Craigeachie in Alice (Fosbery) Street. He died in 1899 and is buried in Lutwyche Cemetery. 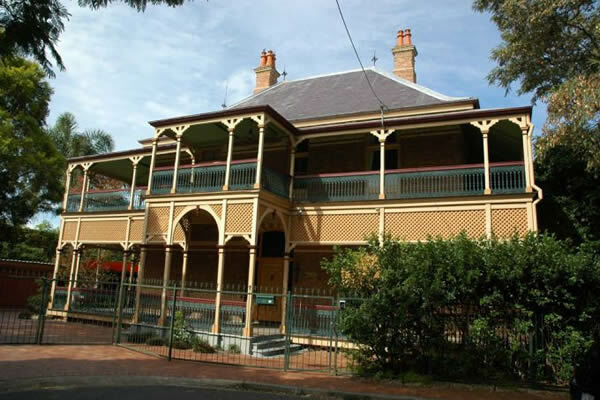 Both Grant and McConachie were unsuccessful tenderers for the Windsor Council Chambers fences. Janet Grant’s younger brother, James became known as The Wild Scotsman. He was a bushranger in the Gin Gin area. There were many stone masons and quarrymen living in the district and in the display are lists of many of them. Hugh Cameron, a stone mason, lived in Swan Terrace and was President of the Shire Council in 1896 and 1897. It was during his term and his leadership on the Building Committee that the Shire Chambers was planned and built. He was elected to Council from 1893 to 1900. A later Scottish stone mason was Robert Hopkirk. 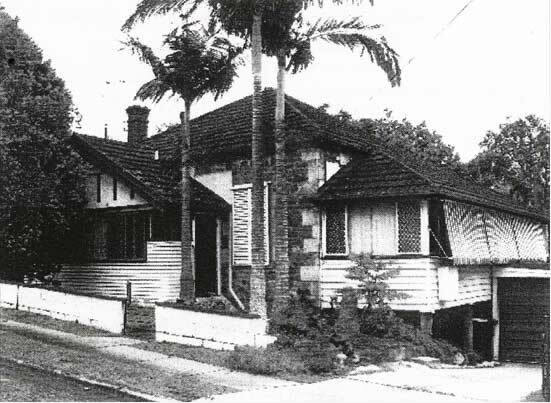 Born in Edinburgh; migrated to Queensland in 1911; married in 1913 at George McConachie’s residence in Maud Street – he worked for McConachie and Bowser & Lever at different times. Some of his heavily worn tools are on display.